Car companies do innovation by introducing new technologies into their cars. Sometime they introduce products that have no direct relation to their business. There are many such examples but recently we shared Mercedes-Benz AMG GT inspired mountain bike or Aston Martin speed boat. A famous sports among youngsters is skateboarding, Skateboard is a flat board with wheels underneath. If you have watched famous “Back to Future” movie series, you will recall Marty McFly running away from the baddies on a board with no wheels but levitating above the ground. It is pretty much obvious that special effects were used for the famous Hollywood movie. But now Lexus, a subsidiary of Toyota Motor Corp, has released a promo video of something amazing. Just like that hoverboard from Back to Future movie and it seems like future is here. 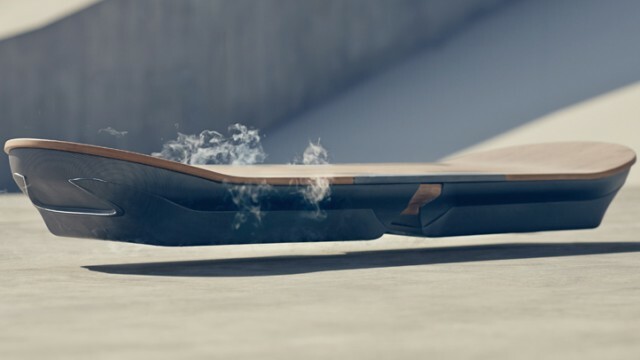 Lexus has released a very short clip showing a levitating board which they called “Slide”, and it is looking very cool and an advanced piece of equipment. The front of Slide reflects the current design philosophy of Lexus in form of the signature spindle grille. 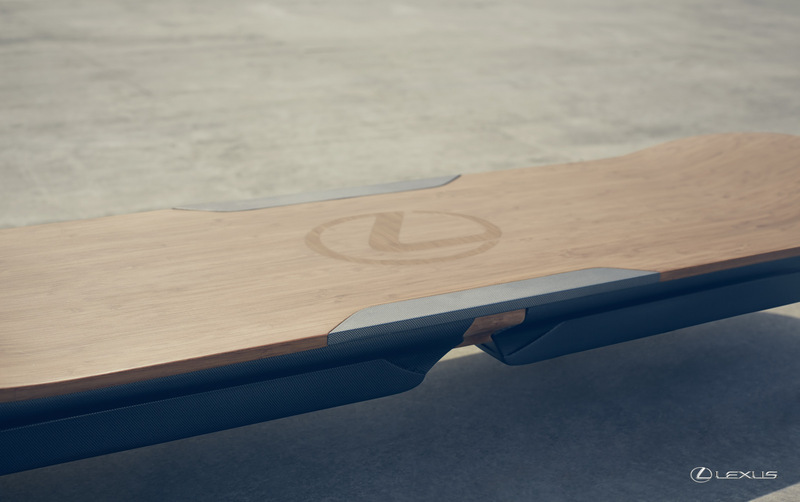 According to Lexus, they have designed this working levitating board in collaboration with experts in super-conductive technology. According to Toyota the levitation is created by the use of superconductors. The system inside the board maintains a very low temperature for superconductors by using liquid nitrogen. Due to this, electrical current is created that can repel magnets. The special surface over which the board will levitate uses advanced magnets allowing to board to remain floating and move without any friction. The Slide doesn’t use any batteries to work. According to Lexus, Slide is currently being tested in Barcelona, Spain. The bad news is it will not be FOR SALE to public.